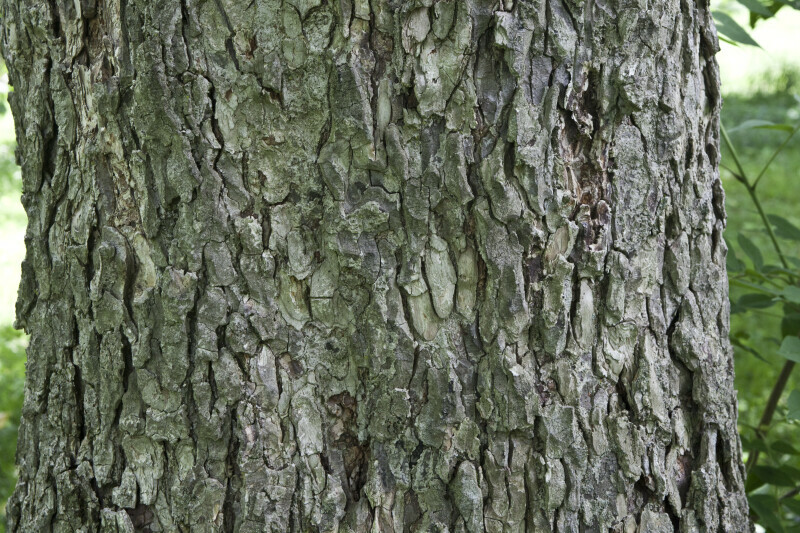 Close-up view of the bark of an Ohio buckeye (Aesculus glabra var. glabra) tree at the Arnold Arboretum of Harvard University. Ohio buckeye trees are native to the central United States.